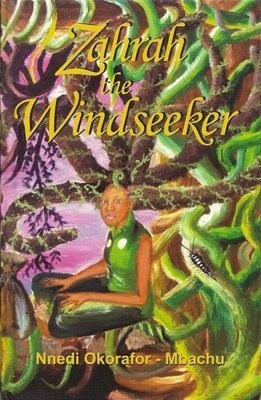 I first heard about Nnedi Okorafor through a friend who saw her novel Zahrah the Windseeker and thought of me - it was YA, fantasy and the main character not only had my name, but it was spelt the exact same way as mine. Obviously I had to read it! Unfortunately I didn't get to read it until I was in Lagos and from the first page I was in love. All I kept on thinking as I read it was where were you when I was younger. 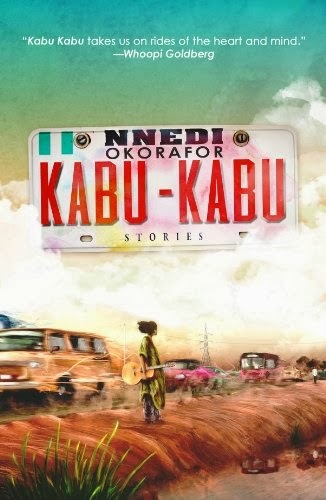 Sadly, I haven't been able to read Nnedi Okorafor's other novels, which is why they are in my Must Own, Must Read list. I thoroughly enjoy her Wahala Zone Blog and her website, The Wahala Zone, is so cool. I honestly go to both sites to learn more about her. There's about eight novels (she writes for children, young adults and adults - so it's like everyone is pretty much covered :) - with two more on the way this year (Lagoon and Akata Witch 2). This is not even mentioning numerous short stories - which can be found here. She's also won tons of awards. And did I mention she's a professor. Amazing!!!! Enough gushing on my end. Here's a look at her novels that I must own and read. When 15-year-old Ejii witnesses her father's beheading, her world shatters. 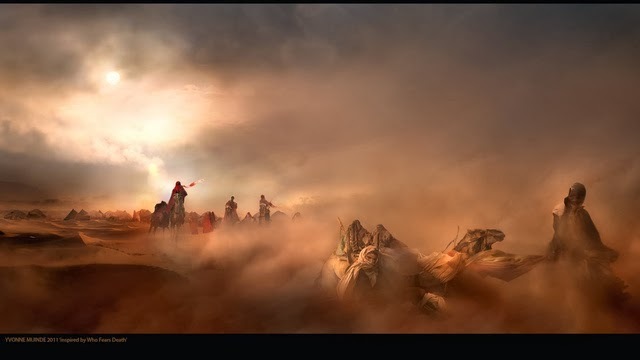 She embarks on a mystical journey to track down his assassin. But she soon discovers that her journey has greater purpose. 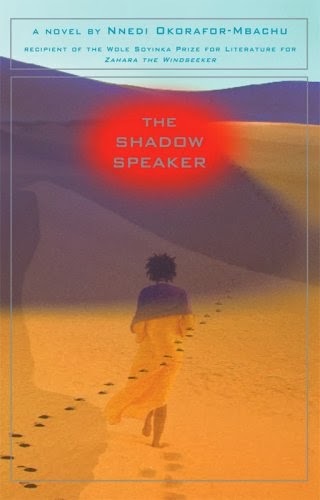 Spontaneous forests, polygamy, strange insects, Nigerian 419 scammers, really fast cars, a different kind of Sahara Desert, male beauty contests, the apocalypse, life, death, sword fights, fat chiefs, assassins - The Shadow Speaker is a wild story of mind-blowing technology and tantalising magic, set in an alternate version of the country of Niger. In a far future, post-nuclear-holocaust Africa, genocide plagues one region. The aggressors, the Nuru, have decided to follow the Great Book and exterminate the Okeke. But when the only surviving member of a slain Okeke village is brutally raped, she manages to escape , wandering farther into the desert. She gives birth to a baby girl with hair and skin the colour of sand and indistinctively knows that her daughter is differnt. She names her daughter Onyesonwu, which means 'Who Fears Death'? in an ancient African tongue. Reared under the tutelage of a mystery and traditional shaman, Onyesonwu discovers her magical destiny - to end the genocide of her people. The journey will force her to grapple with nature, tradition, history, true love, the spiritual mysteries of her culture - and eventually death itself. Twelve-year old Sunny lives in Nigeria, but she was born American. Hear features are African, but she's albino. She's a terrific athlete, but can't go out into the sun to play soccer. There seems to be no place where she fits. And then she discovers something amazing - she is a 'free agent', with latent magical power. Soon she's part of a quartet of magic students, studying the visible and invisible, learning to change reality. But will it be enough to help them when they are asked to catch a career criminal who knows magic too? magical, occasionally dangerous, and always imaginative locations you didn't know you needed. This debut short story collection by an award-winning author includes notable previously published material, a new novella co-written with New York Times-bestselling author Alan Dean Foster, six additional original stories, and a brief foreword by Whoopi Goldberg. But when something like a meteorite plunges into the ocean and a tidal wave overcomes them, these three people will find themselves bound together in ways never imagined. 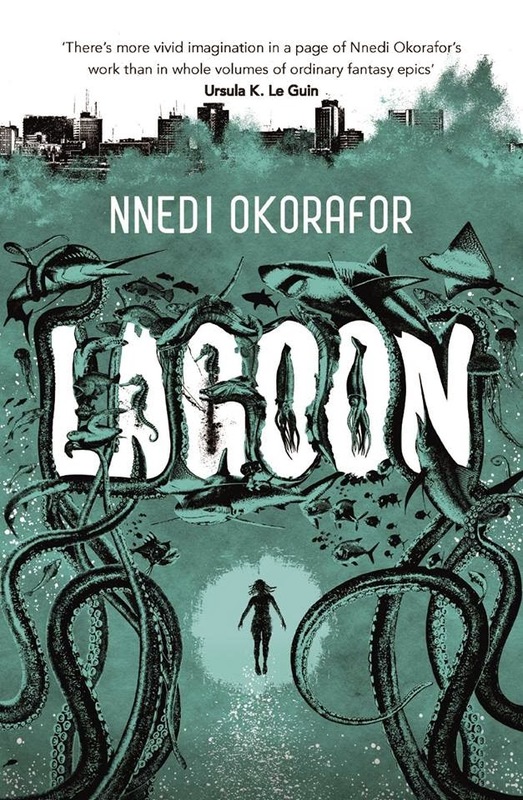 Together with Ayodele, a visitor from beyond the stars, they must race through Lagos and against time itself in order to save the city, the world... and themselves. 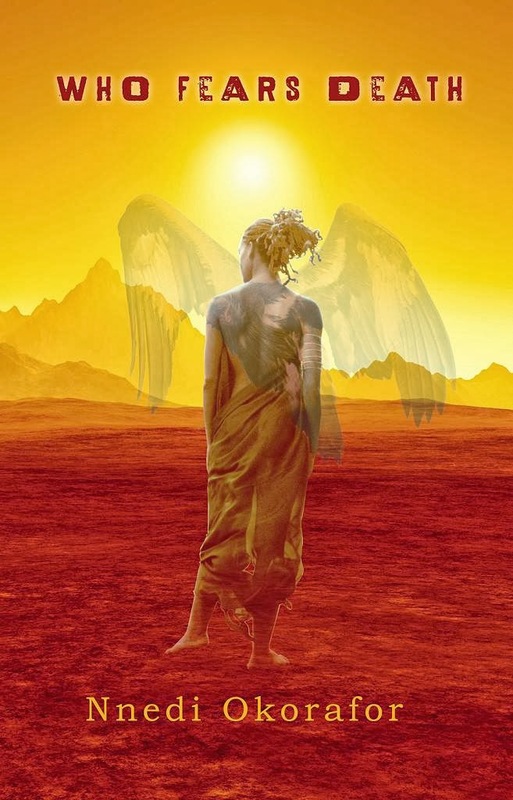 Who Fear's Death is also set to become a feature film and directed by award-winning Kenyan filmmaker, Wanuri Kahiu - writer and director of the short sci-fil film Pumzi. 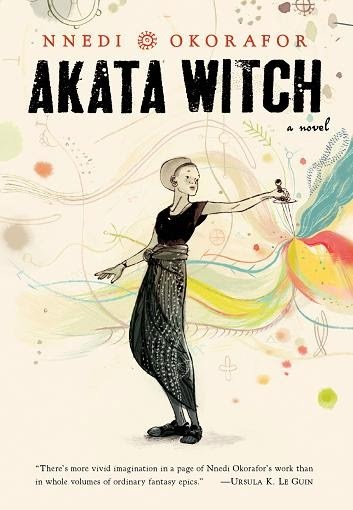 I really loved Akata Witch, and liked Who Fears Death - hopefully you get a chance to read her books soon. She's a phenomenal author.